The below is my maternal Grandmother, Dorothy Jacobs, nee Schussler. 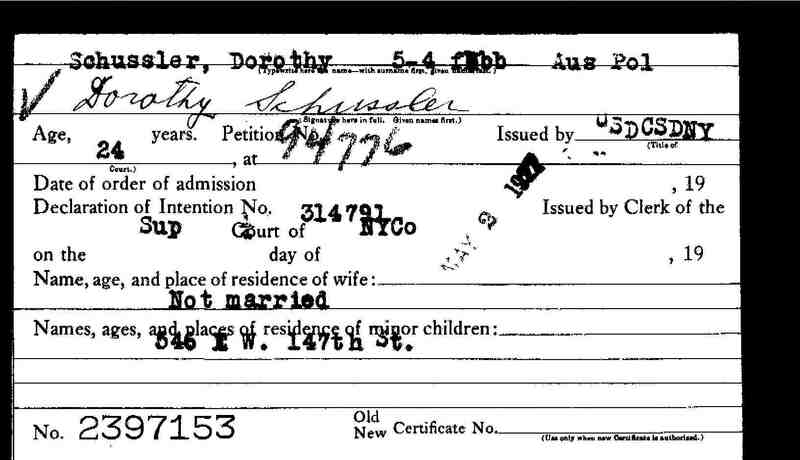 She became a citizen before she married my grandfather, Maurice Jacobs. Naturalization Records Page Selected Naturalizations Records for the United States and the United Kingdom.